"Falafels so good they blow store bought ones out of the water. 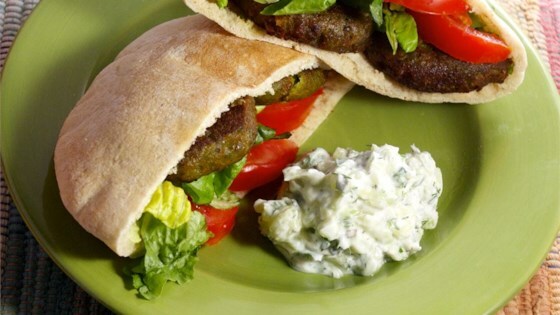 Serve on pitas, with your favorite sauces and toppings, or on buns like a burger. This recipe is good accompanied by any Middle Eastern dish such as tabouleh or roasted potatoes." Very good. Took a lot of work for a novice like myself, but all in all worth it. I baked instead of fried to make it a little healthier, and served with spicy mustard. Yum!